There is nothing more sweet than seeing your child sleep. 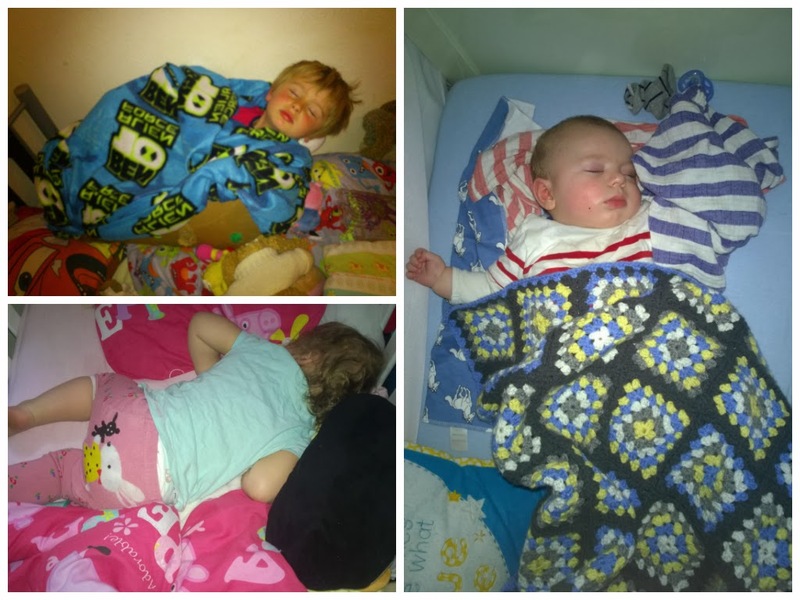 This month they may not all be together but they are all asleep. My three beautiful children all so different but all so special. I love this time I love to stare at there faces so peaceful and full of dreams. I sometimes would like to press pause and that they would stop growing up so fast. Yes in case your wondering that is my 7 year old sleeping in a box? The last month Little bear loves to see his big brother and sister and even though he gets alot of whacks and pokes in the eye from his sister he is still amazed and gives her the best smiles. Pants often needs to be reminded that he is alot older than Ami he often forgets and does a wrestling move on her. Although she likes it can't really have her repeating 619 at toddler group. Why not join in taking photos of your children, click on the photo above to find out more!